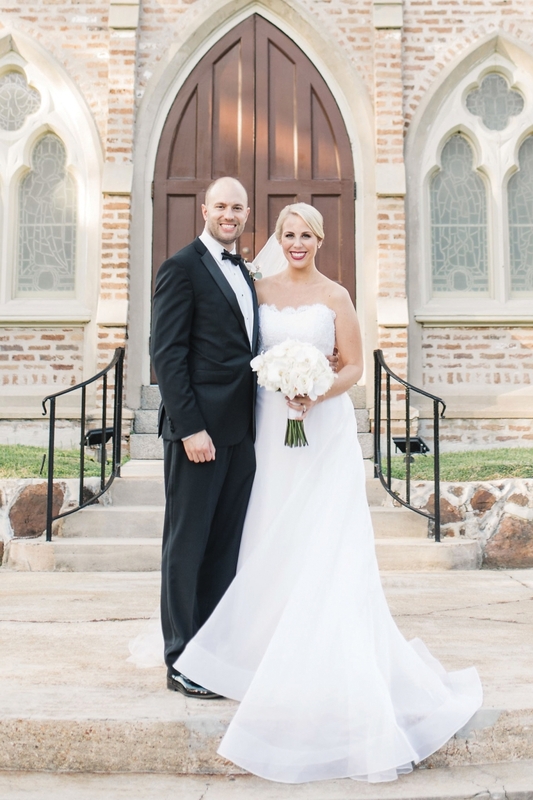 Margarett Ann Haisten and Kevin Reynolds Howard were united in marriage at Trinity Episcopal Church on October 21, 2017. Margarett Ann Haisten and Kevin Reynolds Howard were united in marriage at Trinity Episcopal Church on October 21, 2017. The Rev. Bailey Norman officiated. The bride is the daughter of Mr. and Mrs. Albert Jackson Haisten Jr. of Mobile. The groom is the son of Mr. and Mrs. John Michael Howard of Atlanta. 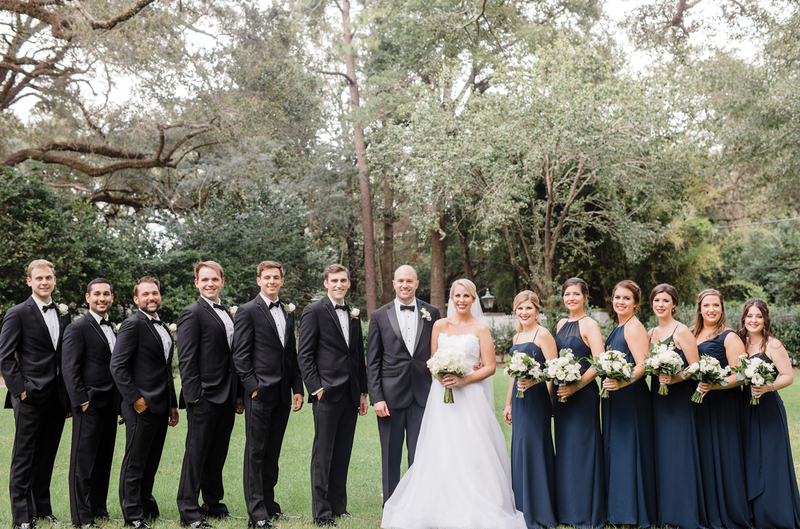 The bride wore a custom strapless gown designed by Heidi Elnora. The bodice was adorned with ivory lace and the skirt was silk organza with a horsehair trim. The bride chose a floor-length veil and wore her mother’s jewelry. The bride carried a bouquet of white roses and orchids. The bride chose Sarah Elizabeth Byrket and Sarah Starling Bees Hudgins as matrons of honor. Bridesmaids were Kaylee Roberts Estes, Virginia Kathleen Haworth, Holly Mason Harrington and Amber Lee McDonnell. 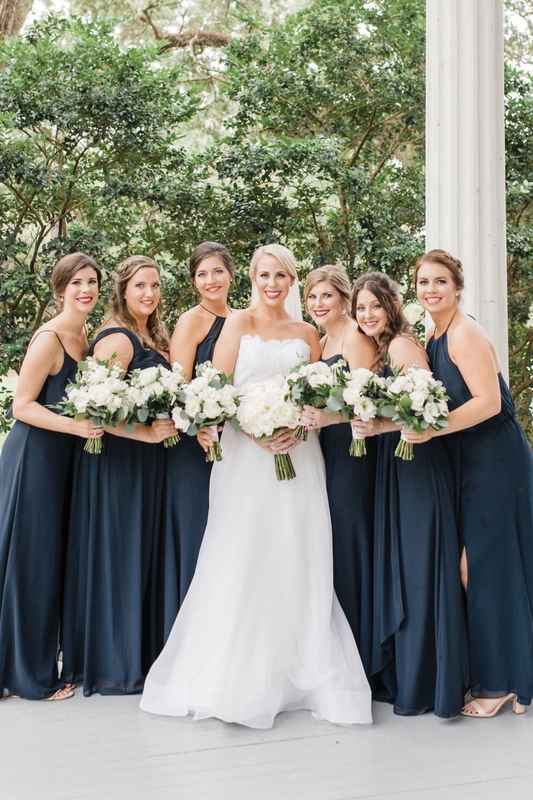 The bridesmaids wore floor length navy chiffon dresses by WToo. The groom chose Andrew Lee Jensen as his best man. Groomsmen were Albert Jackson Haisten III, Taner Samer Hamzawi, Matthew Charles Hutchens, Christopher Dana Klein and Tyler Powell McMullen. Guests enjoyed an outdoor reception at the Bragg-Mitchell Mansion following the ceremony. 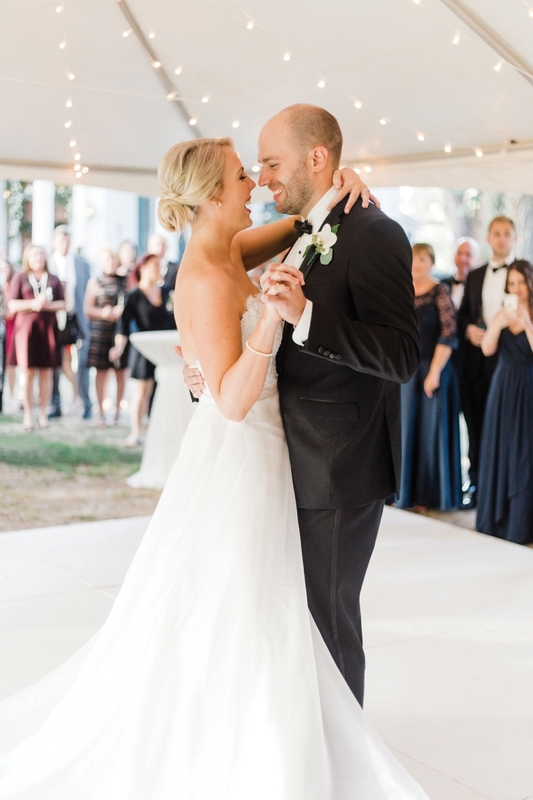 Guests danced the night away under a light-adorned tent. Southern favorites were served, including a grilled oyster station which was a guest favorite. The wedding cake was a classic design of three layers adorned with white roses. After traveling to Watercolor for their honeymoon, the couple now resides in Greenville, S.C.